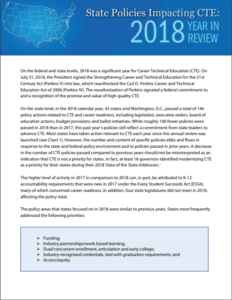 2018 was a significant year for Career Technical Education (CTE) at the federal and state levels. On July 31, 2018, the President signed the Strengthening Career and Technical Education for the 21st Century Act (Perkins V) into law, which reauthorized the Carl D. Perkins Career and Technical Education Act of 2006 (Perkins IV). The reauthorization of Perkins signaled a federal commitment to and a recognition of the promise and value of high-quality CTE. Additionally, at the state level 42 states and Washington, D.C., passed a total of 146 policy actions related to CTE and career readiness, reflecting a commitment from state leaders to advance CTE. 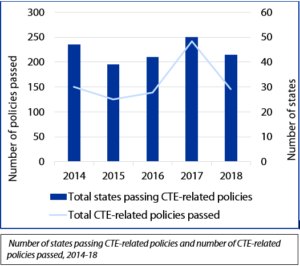 In total, 30 states enacted policy in 2018 that impacted CTE funding, making funding the most popular policy category for the sixth year in a row. 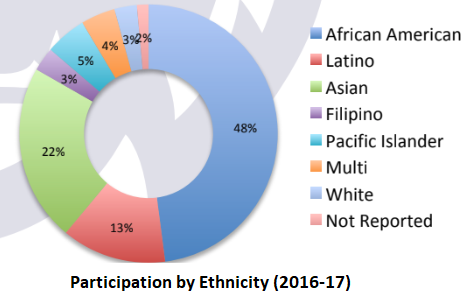 A number of states directed funding toward the needs of underrepresented, low-income or otherwise disadvantaged populations, including California, Iowa, Maryland, Michigan, Missouri, New Jersey and North Carolina. Washington established a scholarship program to support foster and homeless youth entering postsecondary education or pursuing an apprenticeship, among other policies that supported access and equity, and New York is funding 15 early college high school programs aligned with in-demand industries in communities with low rates of graduation or postsecondary transition. 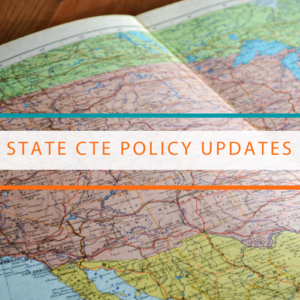 While roughly one hundred fewer policies were passed in 2018 than in 2017, this past year’s policies still reflect a commitment from state leaders to advance CTE. A decrease in the number of CTE policies passed compared to previous years should not be misinterpreted as an indication that CTE is not a priority for states. In fact, at least 16 governors identified modernizing CTE as a priority for their states during their 2018 State of State Addresses. As states continue to pass CTE related policies, it is important to focus on the quality of the implementation of the policies and not only the quantity. To view the previous years’ Year in Review reports click here. Advance CTE and ACTE will be joined by a state leader to discuss these policies in more depth on February 14 at 2 p.m. EST – to register for the webinar click here. Students were hard at work on their laptops when we walked into the 12th grade environmental science class at Oakland High School. They were writing their senior research papers on different environmental issues in their Bay Area community, the culminating project to graduate from the Environmental Science Academy. One student was writing about the the economic impact of a diminishing bee population, another was looking into the effect of recent wildfires in northern California. And they were more than happy to show off their projects. Oakland High School – or O-High as it is affectionately called by students and teachers – is one of several schools in California that is implementing an industry-based educational model called Linked Learning. Linked Learning is not unique – it outlines a framework for what we would consider “high-quality Career Technical Education (CTE):” an integrated pathway that combines rigorous CTE, college preparatory course work, work-based learning and wraparound student supports. But Linked Learning is quickly becoming the gold standard approach to career pathways in California. With funding from the James Irvine Foundation and strategic guidance and partnership from the Linked Learning Alliance, the approach has spread to high schools and districts across the state. In Oakland, the power and value of Linked Learning is in the diversity of its student body. The city is situated across the bay from San Francisco and is home to an incredibly diverse community – many students are the children of immigrants or were themselves born in other countries. Recently, Oakland has experienced rapid gentrification and a steadily increasing cost of living, making it harder for families to stay in the area. To maintain Oakland’s rich diversity, O-High Principal Matin Abdel-Qawi believes it is his school’s mission to equip each and every student with the skills they need to earn family-sustaining wages so they can afford to work and live in Oakland once they graduate. Integrated academics with a rigorous, college-preparatory curriculum: As students progress through their pathway, they receive rigorous instruction aligned to California’s A-G college prep standards and graduate fully prepare to enroll in Easy Bay Community College, UC Berkeley, or other colleges and universities in the state. High-quality CTE classes that prepare learners for in-demand careers: Every student enrolls in a career academy: Environmental Science, Visual Arts (VAAMP), Public Health, Project Lead the Way (engineering), Social Justice and Reform, or an academy for recent immigrants called R.I.S.E (Recent Immigrant Support and Engagement Academy). Students take math, history and other academic subjects with their pathway peers, and instructors adapt the curriculum to apply a career-focused lens. A continuum of work-based learning experiences: Throughout their pathway, students have the opportunity to engage with industry experts through field trips, guest lectures and offsite internships with nearby institutions like the Alameda County health system, which regularly hosts students from the Public Health Academy. In 2018, 1,393 students participated in career awareness activities and 145 completed an internship. Wraparound supports to guide learners along their pathway: Perhaps the most remarkable element of O-High’s Linked Learning academies is the extensive mentorship and wraparound supports students can access. A wellness center on campus provide medical and dental services to students, ensuring that health is not a barrier to success. The high school is also home to a Future Center that helps students apply for college, perfect their resume, and identify and apply for scholarships. The Linked Learning approach has had a notable impact on O-High student outcomes. In 2018, 81 percent of students graduated and 70 percent enrolled in college within one year. Part of this success is attributable to the high school’s absolute focus on equity. School leaders take special care to ensure that enrollment in each pathway reflects the broader student population, with parity across ethnicity, gender and disability. And in 2010, Oakland Unified launched the Office of African American Male Achievement (AAMA) to support and develop young black males throughout the district. As a result, the African American graduation rate at O-High jumped from 58 percent in 2014 to 90 percent in 2018. As states prepare to implement the Strengthening Career and Technical Education for the 21st Century Act (Perkins V), they will have a unique opportunity to redefine what high-quality CTE looks like and ensure equity is front and center in the statewide delivery of CTE. There are a lot of lessons to draw from Linked Learning. For one, Linked Learning’s integrated career pathway approach, mixed with work-based learning and wraparound student supports, is a tried-and-true framework for a strong CTE program. States can replicate this approach and free up resources to expand access to work-based learning and student supports. Further, O-High’s intense focus on equity should be instructive to other school, district and state leaders. In Oakland, equity means more than expanding opportunity. It means ensuring that each and every learner is supported, welcomed and successful in their given career pathway. With wraparound services to support students’ health, academic and career needs, Oakland High School delivers on its promise to graduate students prepared to stay and contribute to their diverse community. Thanks to Oakland High School, the Linked Learning Alliance and the Alliance for Excellent Education for organizing the Linked Learning site visit. The majority of 2018 state legislative sessions have come to a close. During these legislative sessions, states enacted budgets that illustrate a continued commitment to invest in Career Technical Education (CTE) and opportunities for learners to earn credentials that translate into high-skill, in-demand occupations. In California, Governor Jerry Brown signed a Fiscal Year 2018-2019 budget that invests millions in CTE-related programs and initiatives. The budget includes $164 million ongoing funds to establish a K-12 specific component within the Strong Workforce Program, an initiative that aims to improve CTE programs and increase the number of learners enrolled in CTE programs that culminate in high-wage, in-demand jobs. The budget also includes $6.7 million in funds to offer 338 additional CTE programming slots and to expand CTE to thirteen additional sites in California. Additionally, the budget provides $100 million one-time and $20 million ongoing funds to establish a statewide online community college. Currently, 2.5 million adults in California between the ages of 25 to 34 only have a high-school diploma, despite an estimated 65 percent of jobs requiring some form of postsecondary education and training beyond high school by 2020. The online community college will provide a cost-effective way for working adults in that age range to earn short, career ready credentials. In Oklahoma, Governor Mary Fallin signed a Fiscal Year 2019 budget that increases the amount of funds appropriated to the State Board of Career and Technology Education by more than $12 million when compared to last year’s budget. This investment aligns with the the state’s efforts to build and strengthen career pathways through the Oklahoma Works initiative, which aligns education, resources, training and job opportunities to bolster Oklahoma’s workforce. Virginia’s 2018-2020 biennial budget provides an additional $2 million in grant funding each year for the New Economy Workforce Credential Grant Program. This program, created in 2016, covers up to two-thirds of the cost of a noncredit workforce training program, requires the Board of Workforce Development to maintain a list of credentials and noncredit workforce training programs in high-demand fields, and encourages participating institutions to award academic credit for credentials earned. With the majority of “good jobs” that pay a family-sustaining wage requiring at least some college education — such as a technical certificate, associate degree, bachelor’s degree or another credential of value — ensuring the existence of high-quality postsecondary Career Technical Education (CTE) programs and pathways is more important than ever before in preparing learners for high-skill, high-wage and high-demand careers. 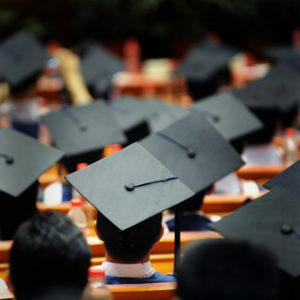 Although postsecondary programs are typically considered to be the purview of individual institutions, supported by academic freedom and local control, states have an important role to play in ensuring that each learner has access to only high-quality and relevant programs, notably by leveraging program approval and program evaluation policies and processes. Today, Advance CTE released Driving Quality in Postsecondary CTE: Approval and Evaluation Policies, a report that explores how states are leveraging this role to ensure quality. Without question, states and postsecondary systems and institutions face unique challenges and opportunities in the quest to ensure program quality and relevance. These challenges include a variety of governance and delivery models, state and federal requirements, and multiple layers of program approval through regional and occupation-specific accreditors. At the same time, states, systems and institutions have meaningful opportunities to support and fund those programs that are best serving learners and their communities’ workforce needs. In Wisconsin, the Technical College System (WTCS) uses its statutory authority to review and approve all postsecondary programs in two phases: concept, where the system office and then the State Board review program foundations, including labor market justification, and program, where the system office and State Board review program curriculum. WTCS also suspends as many associate degree programs as it approves, so that programs that no longer have labor market relevance and/or quality outcomes are phased out and newer programs with higher quality and more relevance are adequately supported. The California Community Colleges system is the largest system of higher education in the nation, with 114 colleges serving 2.1 million students. In 2004 the Chancellor’s Office developed what is now called the California Community Colleges Curriculum Committee (CCCCC) to coordinate efforts between local and statewide curriculum processes and work on program and course approval and evaluation. Through the CCCCC, the state has been working to delegate some of the responsibility of program approval and evaluation to individual institutions, but with policy guidance from a thorough and robust handbook. In this way, the system is working to reduce the burden on colleges while still maintaining quality of programs. The Florida College System (FCS) and State Board of Education (SBOE) work together to ease the burden of program approval processes by designing and validating curriculum frameworks at the state level. These frameworks involve input from numerous industry partners and content experts and list key standards and benchmarks that programs must meet. Once a curriculum framework has been approved by the SBOE, other FCS institutions may apply the framework to new programs and are not required to undergo an approval process. Most FCS institutions start programs by using an existing framework, allowing them to start their program more quickly and avoid a lengthy approval process. Check out Advance CTE’s report to learn more about ensuring quality in postsecondary CTE programs. About California: California is a state that doesn’t just give lip service to career readiness; it fully commits to preparing learners for meaningful careers. Last summer, the Career and College Transition Division underwent a significant reorganization that elevated the role of career readiness within the Department of Education. The state legislature has also appropriated more than $1.4 billion in the past few years to support Career Technical Education (CTE) and career pathways across the state through various initiatives and grants. In California, CTE is delivered through comprehensive high schools, career academies, community colleges and 74 Regional Occupational Centers and Programs (ROCPs). California recognizes 15 industry sectors loosely organized around the National Career ClustersⓇ framework, including state-specific sectors such as fashion and interior design. While programs are developed and administered locally, there are seven technical assistance centers across the state that support local districts to evaluate and improve their program offerings. These efforts are guided by a framework of 11 elements of a high-quality CTE system that are outlined in the state’s Carl D. Perkins Career and Technical Education Act of 2006 (Perkins) state plan. Notable in California – College and Career Indicator: In 2016, the California Department of Education unveiled a new school dashboard with various measures of school performance to provide transparency for students, families and communities. The dashboard is designed to satisfy school accountability requirements under the Every Student Succeeds Act (ESSA). 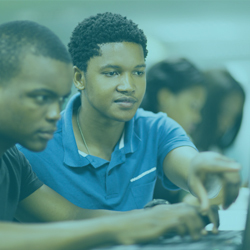 Included in the dashboard is a College and Career Indicator to rate schools on their success in preparing learners for post-high school transitions. Currently, schools are evaluated on only three levels — prepared, approaching prepared and not prepared — that include measures such as CTE pathway completion and dual enrollment. While the dashboard was implemented with only three levels for this indicator, efforts are underway to define what it takes for students to be “well prepared” for college and careers. State leaders in California are working to define this level and are exploring options such as work-based learning participation and industry-recognized credential attainment. Notable in California – California Career Pathways Trust: The California Career Pathways Trust (CCPT) is a multi-million dollar grant program authorized in the 2013-14 state budget to accelerate the development of regional 9-14 career pathways. Between 2014 and 2015, grants of up to $15 million were awarded to 87 sites, which include partnerships between high schools, colleges and businesses. 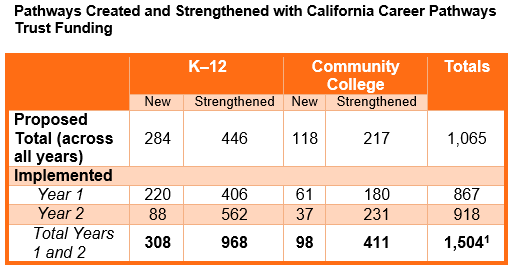 According to a 2017 evaluation of CCPT, more than 800 discrete school-level pathways were developed or strengthened in the first year of the initiative, including in both community colleges and high schools. Many of these included CTE course sequences, work-based learning and student support services. Further, many sites reported that the partnerships established through their CCPT work led to lasting relationships and collaboration with key industry leaders. While selected sites are continuing to receive funding through CCPT, the program was designed as a one-time investment to accelerate regional career pathways work. Day-to-day CTE programs and career readiness activities are supported through the CTE Incentive Grant program and the Local Control Funding Formula. The demand for Bachelor’s degrees may be overinflated in the labor market, but the number of jobs requiring at least some postsecondary education or training is growing. According to the Georgetown Center for Education and the Workforce, nearly all of the jobs created since the recession have gone to workers with more than a high school education. As such, many states have adopted programs and policies since the recovery to help learners obtain the knowledge, skills and credentials necessary to succeed in today’s workforce. 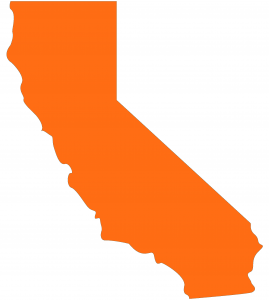 This month, California joined the ranks of Tennessee, Oregon, Rhode Island and New York after Governor Jerry Brown signed legislation into law establishing a California Promise program. The program is designed to reduce barriers to entry for California college-goers by providing tuition-free community college to first-time students who enroll full time and complete a FAFSA form. Under the legislation, the California Community College Chancellor’s Office would be responsible for administering the program and developing a funding formula to support the program’s objectives. Although the California Promise program has been signed into law, the program is still subject to state appropriations. The California General Assembly estimates that the program would serve 19,000 students at a total cost of $31.1 million. Meanwhile, Mississippi is the latest state to help Bachelor’s degree candidates obtain associate’s degrees. The program, called Complete 2 Compete, aims to increase the number of Mississippians with postsecondary credentials by identifying students who either have completed enough credits to qualify for an associate’s degree or are on the cusp of completing a degree. Many postsecondary and adult learners with their sights set on a four-year degree don’t realize that they’ve already earned enough credits for another award. Under the program, some 28,000 students already qualify to receive an associate’s degree without any further education or training. Increasingly, states are looking to reverse transfer programs like Mississippi’s to help postsecondary and adult learners get recognition for the education they have completed. According to research from the Center for Analysis of Postsecondary Education and Employment (CAPSEE), these programs help struggling students who would not otherwise complete a four-year degree earn a postsecondary credential. New Jersey and Vermont also released goals to increase postsecondary credential attainment to 65 percent and 70 percent respectively by 2025. In New Jersey, the Office of the Secretary of Higher Education, the Department of Labor and Workforce Development and the Department of Education jointly launched a new campaign to help increase the credentialed population. The campaign, titled “65 by ’25: Many Paths, One Future,” will seek to engage colleges, universities, businesses and state officials through regional summits to devise strategic plans to achieve the goal. In Vermont, Governor Phil Scott announced the launch of a new initiative called 70x2025vt. With guidance and support from a 25-member council of employers, educators and state officials, the initiative aims to create a college-going culture, remove barriers to access for underrepresented populations, increase college preparedness, and ensure high school students enroll in and succeed in postsecondary education. To monitor progress along the way, Vermont has identified six indicators of progress, including college aspiration and postsecondary/career integration experiences (including work-based learning). The need for skilled workers has grown in the wake of the Great Recession. Now, more than ever, postsecondary education and training is a prerequisite for a family-sustaining job. With the recovery of the national economy, these states are working overtime to help their residents gain the skills they need for career success. All systems work together to put learner success first. In order to deliver high-quality CTE for all learners, state systems must work together at every level. Secondary and postsecondary must work together and with agencies that handle workforce and economic development issues. All of those agencies must also engage with employer partners and local districts and institutions to inform the design, validation and implementation of CTE programs. This engagement should include a common vision and goals, along with shared terminology and data, so that each system can function together efficiently. Since the launch of Putting Learner Success First, Advance CTE has been conducting research and policy scans to raise up examples and promising practices related to this principle. Now, when state leaders place their focus on cross-sector coordination, they have access to multiple resources related to secondary and postsecondary partnerships, governance, accountability systems and statewide longitudinal data systems. In 2013-2014, CCPT originally set aside $250 million for one-time competitive grants to school districts, county superintendents, charter schools and community colleges with the intent to support career pathways in grades K-14; promote cross-sector collaboration in support of effective CTE; develop programs of study aligned to high-need, high-growth sectors; provide articulated pathways to postsecondary education; and leverage existing funding and programs. As a competitive grant, the CCPT provided an opportunity for the California Department of Education (CDE) to define the components of high quality career pathways, focus on alignment of secondary and post-secondary career education, and encourage quality practices such as dual credit courses and student and teacher internships. Tech Ready Apprentices for Careers in Kentucky (TRACK) is a youth pre-apprenticeship program that stands out as an innovative example of effective collaboration between the Kentucky Labor Cabinet, the Kentucky Department of Education’s Office of Career and Technical Education, employers and labor to strengthen students’ career pathways and the talent pipeline. The program utilizes Kentucky’s existing CTE infrastructure to create a pipeline for students that begins in high school and culminates in an industry-recognized credential, paid work experience and, in many cases, advanced standing within a full Registered Apprenticeship. Employers lead the process of partnering with an area technical center to design the selection process and the four-course program of study sequence. Minnesota’s Technical Skill Assessment project (TSA), which was launched in 2009 and has since expanded to encompass 79 Career Pathways, demonstrates how states can develop a strong assessment framework by engaging the employer community and aligning secondary and postsecondary systems. While the Minnesota State Colleges and University System is the Perkins eligible agency in Minnesota, the state rolled out a joint implementation strategy in 2008 that established 26 regional consortia made up of at least one 2-year college and one secondary school district. Each consortium jointly dictates how Perkins funds are expended. Under TSA, these consortia would be the vehicles for reviewing Career Pathways and identifying assessment needs. Sustainable and successful transformation of state career readiness systems, including but not limited to Career Technical Education (CTE), requires engagement with a variety of stakeholders who are deliberately working to share ownership. Lead agencies must engage those from industry, who may be new to policymaking, not only to generate buy-in but also to reach state goals for transformation. This tool from Advance CTE is based off of two tools created by the Council of Chief State School Officers in June and November 2016. This tool, developed through the New Skills for Youth initiative and generously funded by JPMorgan Chase & Co., guides users through nine steps in planning effective interactions with specific stakeholders. The report, from the Education Commission of the States, compares states to determine governance policies related to six core issues: state-level planning, state finance policy, maintenance of databases, regulation of higher education institutions and programs, administration of state-level services, and governance of higher education systems and institutions. The paper also outlines alternative strategies for implementing these core functions in a way that is most conducive to improving the educational attainment of the state’s population given changing conditions and expectations. This brief from Advance CTE and the Education Strategy Group examines where and how CTE and career readiness are built into the first 17 ESSA plans. The brief finds that, while more than half plan to adopt measures of career readiness in their accountability systems, many states missed an opportunity to fully leverage ESSA to advance a statewide vision of career readiness. In addition to accountability, the brief examines how states plan to support career readiness through the vision and goals; Title II, Part A (Supporting Effective Instruction); Title IV, Part A (Student Support and Academic Enrichment Grants); and Title IV, Part B (21st Century Community Learning Centers). Earlier this year, 16 states and the District of Columbia submitted plans for implementing the Every Student Succeeds Act (ESSA) to the Department of Education, detailing strategies to strengthen standards, accountability, teacher effectiveness and student supports. Since then, the remaining 34 states have continued work drafting their own plans. Despite uncertainty from Washington, DC, states such as New York and California are taking advantage of ESSA’s increased flexibility to promote career readiness, specifically through new accountability systems. Despite lawmakers’ intentions to expand local flexibility, state planning has been somewhat constrained by the federal budget process. In May, Congress approved a budget for Fiscal Year 2017 that fell short of the authorized funding for certain ESSA programs. Specifically, the Title IV-A Student Support and Academic Enrichment (SSAE) grant program — which consolidated a basket of categorically-funded initiatives in order to expand state flexibility — was funded at only $400 million for the year, far short of the authorized $1.6 billion (the program is eliminated entirely under the President’s proposed FY18 budget). As such, lawmakers decided to give states the option to distribute grants competitively rather than through a formula, as is prescribed in the law. It is not year clear if states will take this opportunity, though switching to a competition may discourage smaller districts from applying. Under ESSA, at least 95 percent of SSAE funds are to be awarded to local education agencies for one of three priorities: supporting a well-rounded education, fostering a safe and healthy school climate and providing for the effective use of technology. These funds can be used to strengthen or enhance local Career Technical Education (CTE) programs, which are covered under the statutory definition of “well-rounded education.” Although funds go primarily to the local level, states have leeway to signal how they should be used. They can also expend state set-aside funds under Title IV-A to administer technical assistance in certain priority areas. While SSAE grants provide a clear leverage point to promote CTE statewide, many states are approaching the opportunity with caution, leaving it up to local education agencies to determine how such funds will be spent. In addition to the 16 states and D.C. that submitted plans during the first window, another 20 states have released draft plans or guidelines as of June 2017. The newest states to release draft plans include Arkansas, California, Nebraska, New Hampshire, New York, Rhode Island and Wisconsin. Below we examine different approaches that New York and California are taking to leverage ESSA in support of statewide career readiness. Building on the state’sgraduation pathways work, one of the key threads throughout New York’s first ESSA state plan draft is ensuring all students graduate “prepared for success in postsecondary education, careers, and citizenship.” The plan envisions a K-12 system that provides rigorous instruction, positive learning environments, and appropriate opportunities and supports so that all students can succeed. One area in the plan where this priority is reflected is the state’s accountability system, which adopts a measure of College, Career and Civic Readiness as one of two School Quality and Student Success indicators at the high school level. ESSA requires states to adopt at least five accountability indicators, four that are loosely prescribed and a fifth measure of school quality that is up to a state’s choosing. As we’ve reported in the past, many states are seizing the opportunity to measure not only college preparedness but career readiness as well. In New York’s case, the proposed College, Career and Civic Readiness Index encourages both college and career preparation and awards bonus points for students who surpass the minimum Regents or Local Diploma requirements. Under the proposal, schools will receive full points for students who earn a standard diploma, an additional half point for students who enroll in Advanced Placement (AP), International Baccalaureate (IB) or dual credit courses, and a full two points for students earning a CTE endorsement, an industry-recognized credential or a passing score on an AP or IB exam (among other options). Furthermore, the plan explicitly encourages local education agencies to use SSAE grants to offer multiple pathways to graduation and career readiness. The state plans to use up to 4 percent of its permitted set-aside funds to support local education agencies to implement this, and other, priorities. 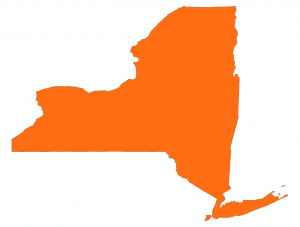 And while the plan is light on details, the state promises to support student access to extra-curricular opportunities, including “community-based internships and … sports and arts.” New York’s state plan is still in the public comment stage and subject to change prior to the September submission deadline. California meanwhile is approaching ESSA’s increased flexibility as an opportunity to supplement ongoing state efforts. In 2013, the Golden State transformed the way it funds education using a Local Control Funding Formula (LCFF) to consolidate state education funding and empower local education agencies to create and implement their own strategic priorities. Under the policy, local districts are required to create Local Control Accountability Plans (LCAP) to set goals and plan their delivery strategies. Additionally, California last year adopted a new multi-measure accountability system aligned to the LCFF to hold local districts accountable for using state education funds effectively. Just this year the state Department of Education released a school accountability dashboard that illustrates student performance on a variety of different measures. California’s state plan proposes to use LCFF as a vehicle to implement ESSA. The plan, appropriately titled “The California Way,” proposes to map local ESSA planning efforts against the current LCAP to create a “single, coherent system that avoids the complexities of having separate state and federal accountability structures.” Local education agencies will submit an LCAP addendum as a supplement to address additional requirements under ESSA. So how will California’s ESSA plan support career readiness? For one, the current accountability system includes a career and college readiness index. Interestingly, and unlike most other state proposals thus far, the index will count toward the state’s academic success indicator, along with student performance and growth on assessments. While the State Board of Education has blessed the indicator, it has yet to determine how it will be measured. Current considerations include dual enrollment, AP exam performance, IB exam performance and CTE pathway completion. Additionally, California’s plan points to other recent initiatives — such as the state’s three-year, $900 million CTE Incentive Grant Program — that are designed to enhance and expand regional CTE pathways in the state. What New York’s and California’s ESSA state plans tell us is that states are taking full advantage of newfound flexibility to align federal initiatives with their own efforts. In the case of California and New York, both states have undergone work in recent years to revise graduation and accountability policy to better promote career readiness in high school. Others should consider how to align opportunities under ESSA to support their own state and local initiatives. In the nine months since President Obama signed the Every Student Succeeds Act (ESSA) into law last December, states and policymakers have been hard at work digging through the legislation and deciding how to structure their new plans. ESSA, which reauthorized the Elementary and Secondary Education Act, presents a number of opportunities to expand access to high-quality Career Technical Education (CTE). As states prepare to implement the law next year, we will provideÂ periodic updates on their progress and share strategies for leveraging ESSA to support CTE at the state level. Illinois recently released a draft of its state plan, which State Superintendent of Education Tony Smith offered as a â€œwork in progress.â€ The plan describes how Illinoisâ€™ secondary CTE system, which is supported, in part, with funds from the Carl D. Parkins Act, aligns with ESSAâ€™s new focus on a â€˜well-rounded educationâ€™ â€” a key concept in the new law includes CTE as part of the statutory definition. The state Board of Education also adopted a framework for a college and career readiness indicator, including such components as industry credential attainment, work-based learning participation, and postsecondary credit attainment. It is yet to be determined if the framework will be included in the stateâ€™s broader, multi-indicator system of accountability. Illinois plans to conduct 14 listening sessions in September andÂ October, after which time the state will revise and publish an updated state plan later this fall. After much deliberation, the California Board of Education approved a new accountability system earlier this month, adopting an indicator for college and career readiness. The indicator allows schools to count students completing a CTE pathway, although the overall score will not differentiate these students from those meeting other college and career readiness indicators such as earning a passing score on an Advanced Placement exam. The accountability system lacks criteria to measure students who are â€œwell-preparedâ€ for college and careers. Meanwhile, Governor Brown vetoed a bill that would have revised the accountability system to place more weight on test scores. 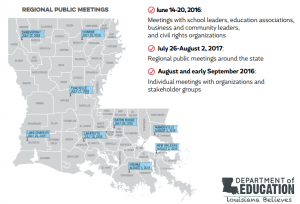 Louisiana released a summary report from its listening tour this summer, providing parents, educators and other education stakeholders an overview of progress towards a new state plan. Suggestions under consideration include incentivizing and rewarding schools for students earning industry-recognized credentials, partnering with business and industry to recruit teachers with industry experience, and providing students more opportunities to enroll in postsecondary education and training during their senior year. It is important to note that Louisiana is still considering these recommendations for the purposes of their forthcoming final plan. Finally, Arizona released a draft state plan for residents of the state to review. While the draft is preliminary, Superintendent Diane Douglas promises the final version will align with the stateâ€™s AZ Kids Canâ€™t Wait! Plan, which is currently undergoing updates. The state is receiving feedback through both public meetings and the Department of Educationâ€™s website, and plans to release an updated version in mid-October. ESSA provides states more flexibility to select a turnaround strategy for struggling schools, as long as the intervention is evidence-based. In keeping up with this requirement, the U.S. Department of Education released non-regulatory guidance to help state and local leaders identify and implement evidence-based turnaround strategies. Advance CTE and the Association for Career and Technical Education (ACTE) highlighted the potential for CTE to be included in this part of ESSA implementation in formal comments to ED this summer. Meanwhile, the Institute of Education Sciences updated the What Works Clearinghouse to allow users to search for evidence-based strategies by school characteristics, grade span, demographics and more. 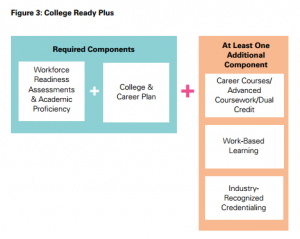 A new paper from the U.S. Chamber of Commerce Foundation offers a framework for a Â â€œCollege Ready Plusâ€ indicator that evaluates studentsâ€™ postsecondary preparation using measures such as work-based learning and attainment of an industry-recognized credential. The paper describes the role that employers can play in helping states adopt and implement a career readiness indicator. The American Institutes of Research developed a policy framework to help states align their visions for college and career readiness with requirements and opportunities under ESSA. The brief focuses on the lawâ€™s three most salient policy components related to college and career readiness: well-rounded education, multiple-measure accountability systems and purposeful assessments. Also helpful: a policy paper from the Learning Policy Institute that takes advantage of the ESSA policy window to propose a new model for accountability. The paper offers three potential career readiness indicators â€” CTE pathway completion, work-based learning and industry-recognized credentials â€” and discusses strategies for collecting and presenting data in a way that supports continuous improvement.